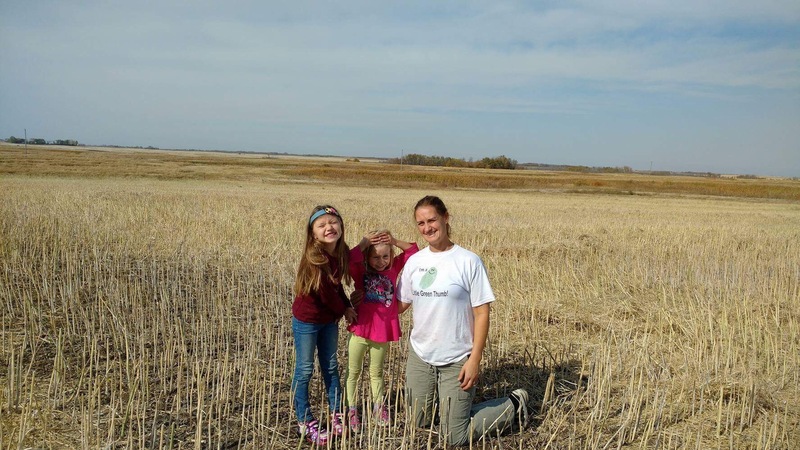 A Mother Allows Her Children To Walk Into A GMO Field Sprayed With Glyphosate. You’ll Never Guess What Happened Next. It was a beautiful summer day, the perfect day for a family road trip to the lake cabin. A mother and her two children had packed the car, and hit the road for a weekend of fun. 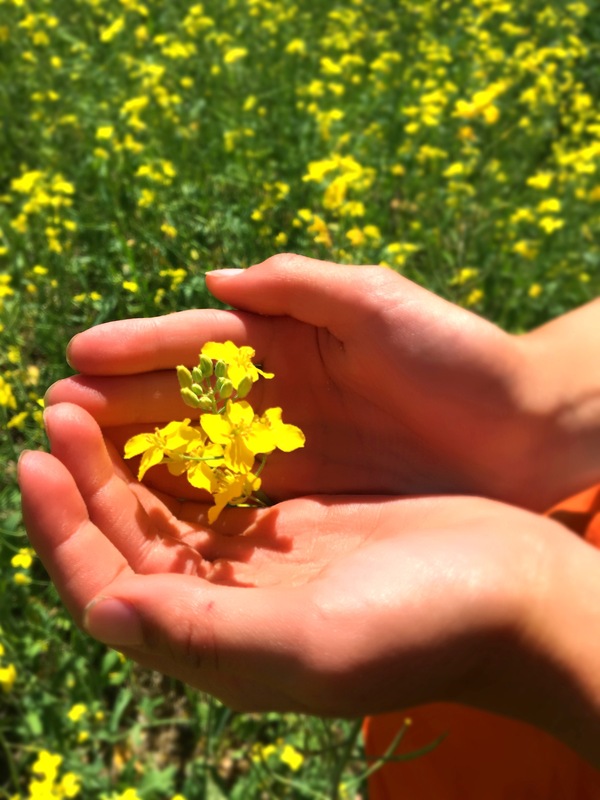 Along the way, they stopped on a quiet country road to picnic beside a field of beautiful yellow flowers. They snacked and frolicked without a care in the world. 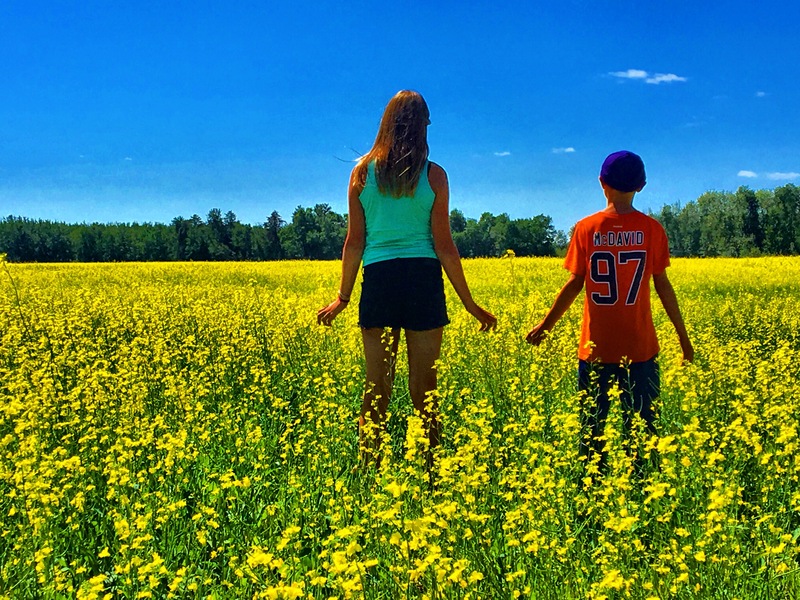 For those of you who know about Canadian agriculture, you will know that these yellow flowers are a crop called Canola, grown for it’s oil, much of which is GMO (Genetically Modified Organism), and sprayed with Glyphosate. So, as the children played, and smelled the beautiful flowers, and their mother looked on, what happened? Well, the simple answer is – absolutely nothing. You see, as a farmer herself, the mother understood that GMO plants held no risk to her children. Her university education and science background taught her that a field previously sprayed with Glyphosate held no more toxicity for her children than a field sprayed with salt water, which actually has a higher toxicity level. 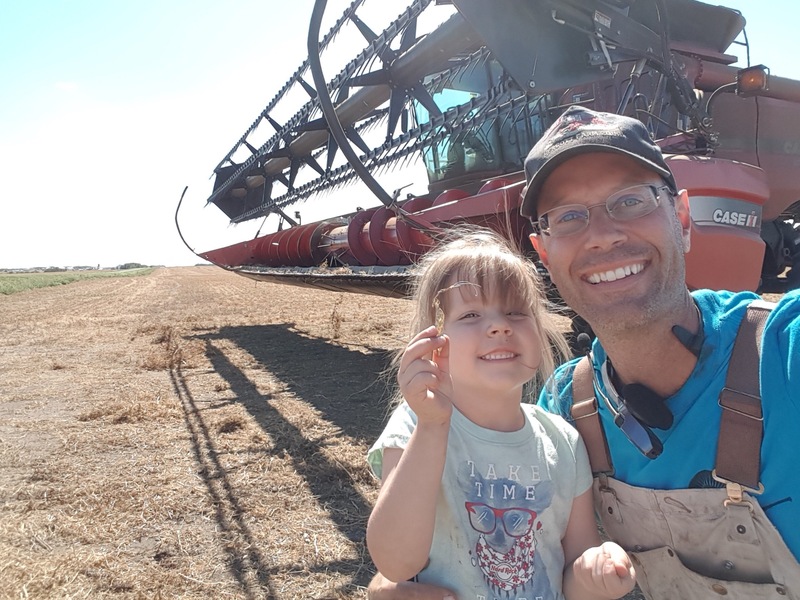 That mother knew that Glyphosate and GMO are scary sounding words, but science and research hold far more weight than any fearful scare tactic or headline she may see online. That mother, who loves her children more than anything on this planet, allowed them to smell those flowers with confidence in agriculture, confidence in science, and confidence in the farmer responsible for that particular field. I am that mother. Those are my children. 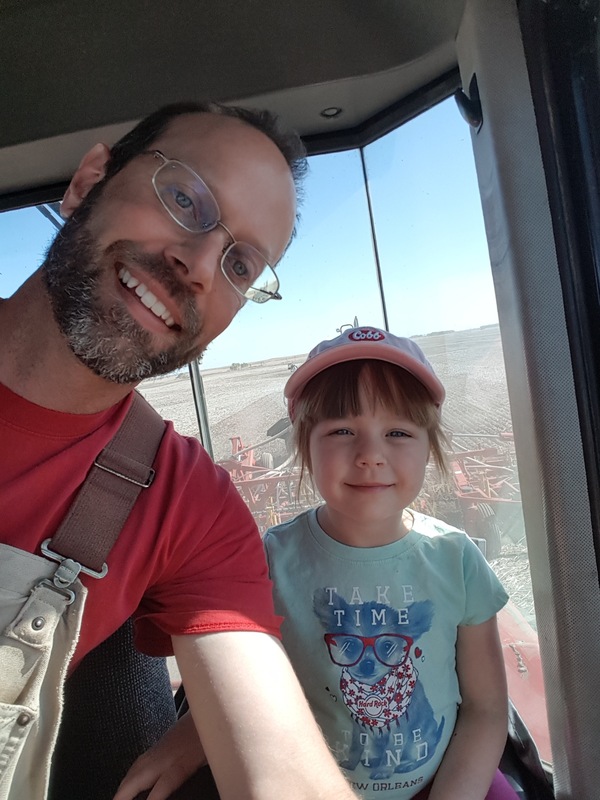 And I am thankful every single day for the science that allows farmers to grow bountiful, nutritious and delicious food that I can feed my children. Important Note: Never, ever enter a farmers field without permission. 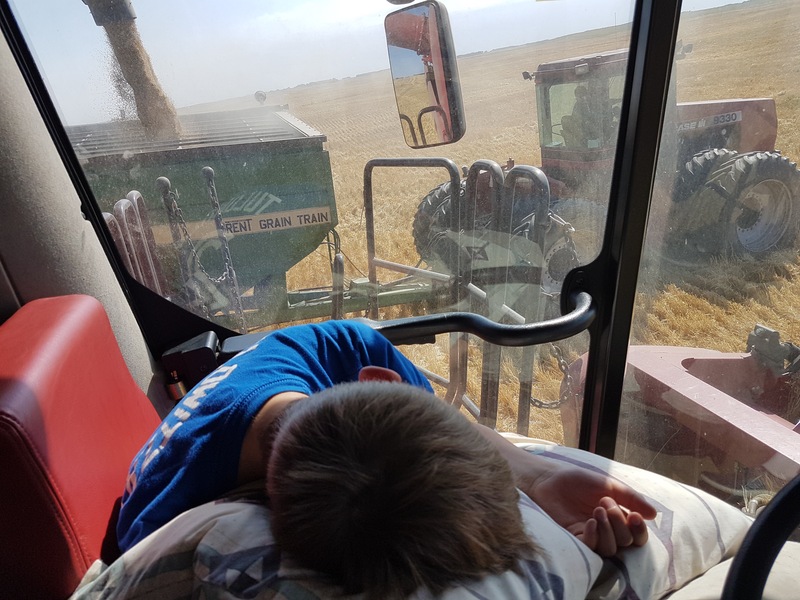 Not only are the crops in those fields their livelihoods, but only the farmer can tell you if it is safe to be in that particular field at that particular time. When Ranchers And McDonald’s Spend A Week Together, Amazing Things Happen!! This April, I had a rancher’s dream opportunity. A chance for a behind-the-scenes peek at McDonald’s business. An insider’s view into not only their corporate executive minds, but also a chance to speak with their restaurant owners – those with boots on the ground, literally selling the beef from my very ranch. 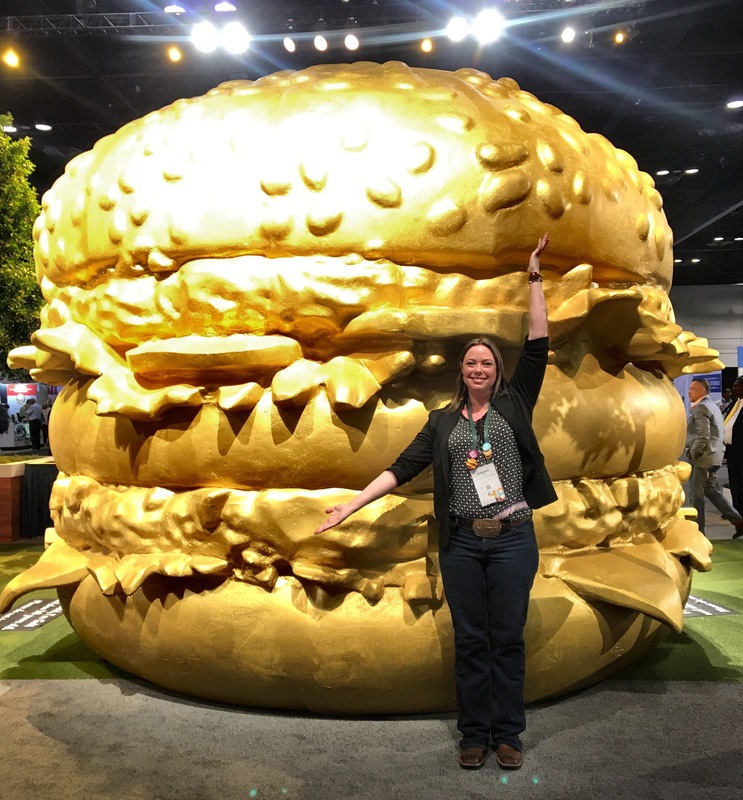 In theory, cattle ranchers and the burger giant McDonald’s should go together like peanut butter and jelly – but in reality, there is rarely a direct connection between retails and those who raise the beef that they are selling. As food producers, we have made a concerted effort in the past few years to connect with the people who consume our food, but have somehow skipped over those who are selling it. Full disclosure, I have been a huge fan of the McDonald’s organization for many years now. They have treated Canadian beef producers in a way that no other end user ever has before. Beyond their commitment to serving Canadian grown food to Canadian people, McDonald’s has done so much more. In a world of fear based marketing, McDonald’s has risen above and embraced the primary producers of food. 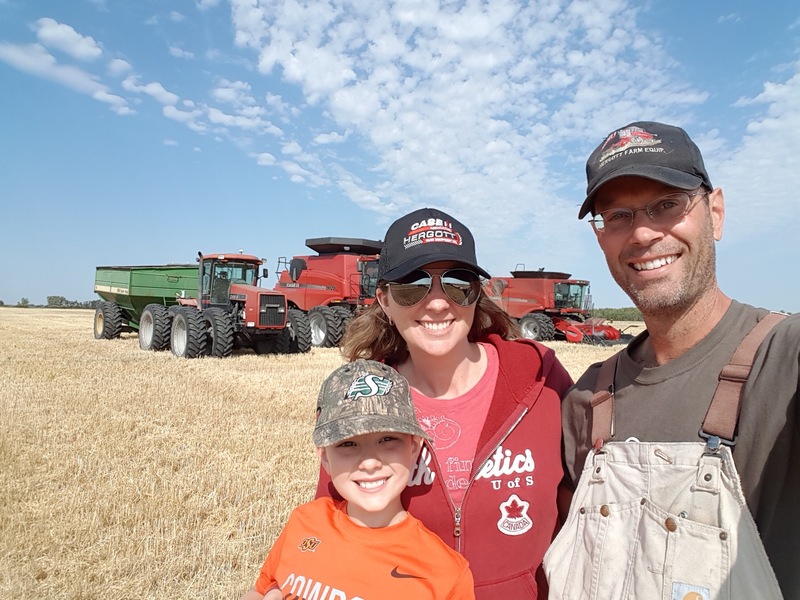 Their “Not Without Canadian Farmers” campaign has filled farmers and ranchers from across Canada with pride. 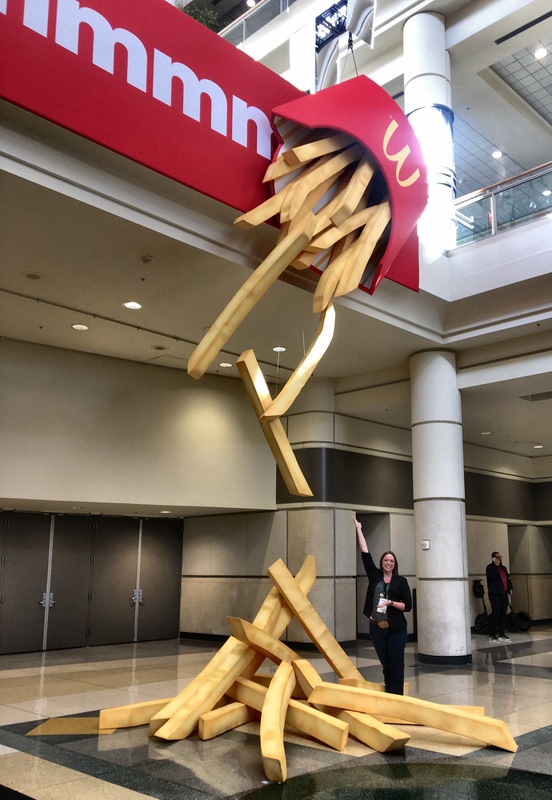 So, when I was invited to Orlando to attend the McDonald’s World Wide convention, I didn’t just jump at the opportunity – I leapt. The convention itself was a once in a lifetime experience. There were 15,000 people from all over the world registered. To put that into perspective, the population of people attending the conference was more than 23 times larger than Ituna, the town we ranch near. The conference population would have been in the top handful of largest cities in our entire province. It was BIG. My purpose for attending this massive event was twofold. I would have opportunities throughout the week to meet and talk with McDonald’s executives, their greatest minds who keep the global wheels of their entire organization rolling. 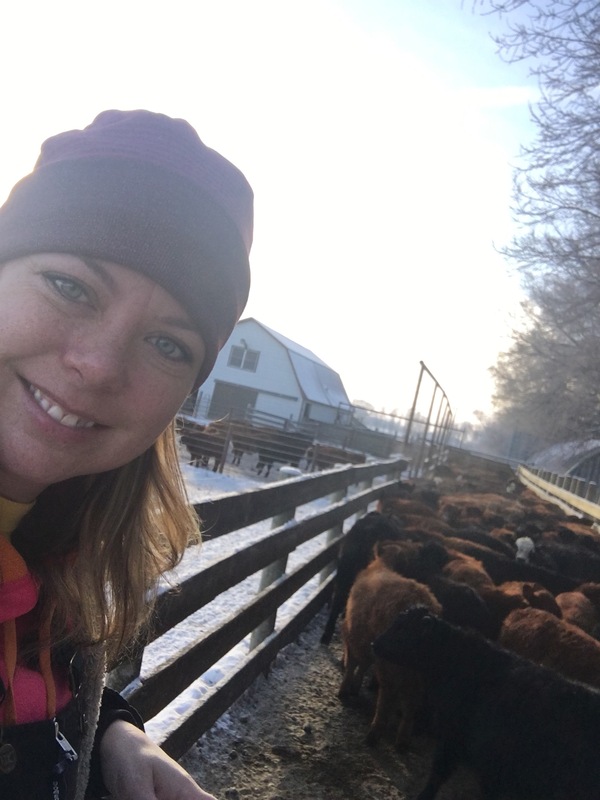 From supply chain to communications, I was to have the unique chance to share with them my thoughts on how to bridge the gap between beef producers and consumers. 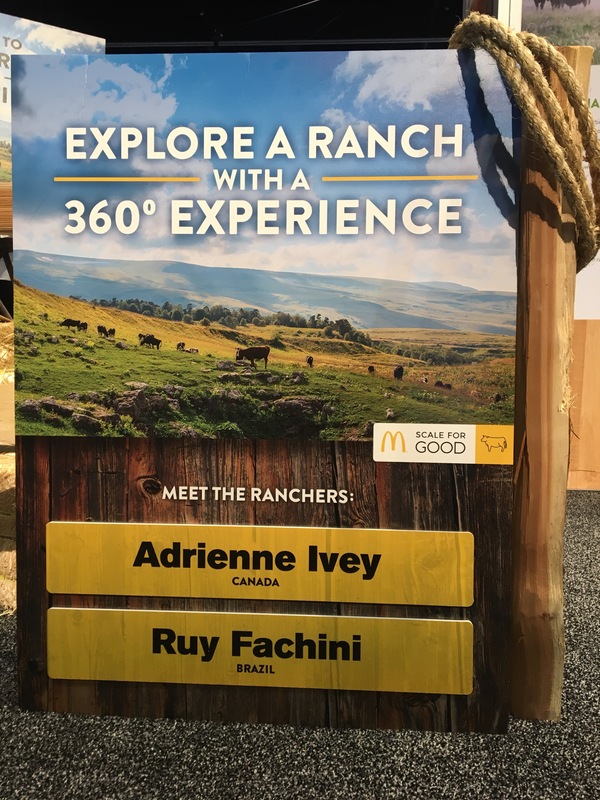 I was also going to spend time in the Sustainable Beef booth speaking with restaurant owners and corporate McDonald’s people about what sustainability means to my own ranch. From the first session (which happened to feature a surprise performance by Pitbull), I had an entirely new appreciation for their commitment as an organization to sustainability. There, on a stage in front of thousands and thousands of people, global CEO Steve Easterbrook spoke of their Scale for Good commitment. As the largest restaurant company in the world, they saw that they could create positive change in a way that no one else could. They could make changes within their own restaurants, as well as within their supply chains, which could have ripple effects across the globe. He spoke of this with pride, as well as determination. It would not be an easy task, but it was a noble one. It made me think back to when McDonald’s first launched their Sustainable Beef Pilot here at home. It was a ground breaking approach, for an end user to come to us, as an industry, and say “Here is our goal. Let’s work together to figure out the best way to get there.” By all accounts the project was a huge success, and has now transitioned to being a part of the Canadian Round Table for Sustainable Beef. 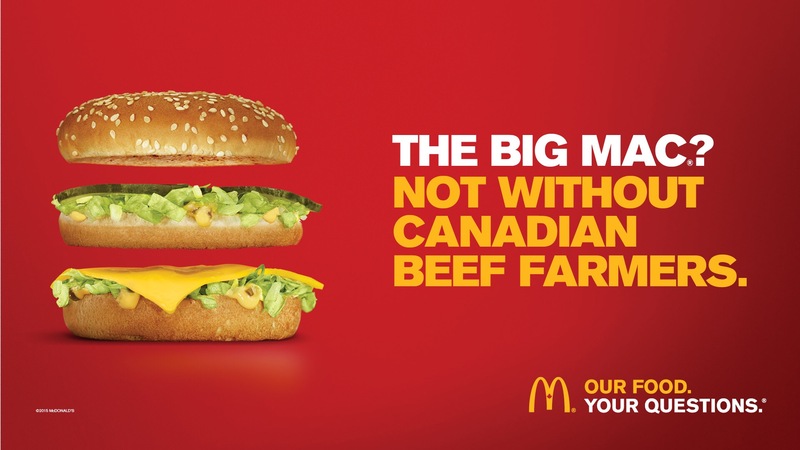 There is also now the Canadian Beef Sustainability Acceleration Pilot with Cargill and partners like Verified Beef and BIXS, which brings the work that McDonald’s started even further along. All along, McDonald’s vision has not been about creating an elite brand of beef to market, it has been about helping beef producers learn from each other and to grow as an industry. Being on the enourmous conference floor helped me see McDonald’s restaurant owners in an entirely new light. 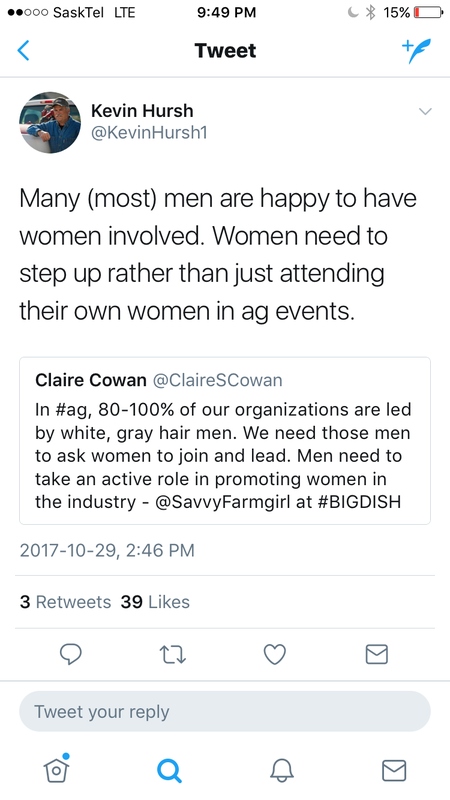 The scope of their business is not unlike that of a large farm. There were booths for drink dispensers, uniforms, print material, insurance, banking, cleaning supplies, and on and on and on. Chatting with many restaurant owners, it was a complete surprise to find that succession planning was just as big of an issue in their business as it is in my own. Spending time one on one with those owners, also helped me see that they are as disconnected from food production as consumers are. It was absolutely fantastic to see just how excited each one was to hear directly from a beef producer, and to get a little glimpse into a cattle ranch. Cargill, who makes all of Canada’s patties for McDonald’s, had created an amazing 360 degree video showcasing beef production from ranch to feedlot to processing plant and through to patty plant. 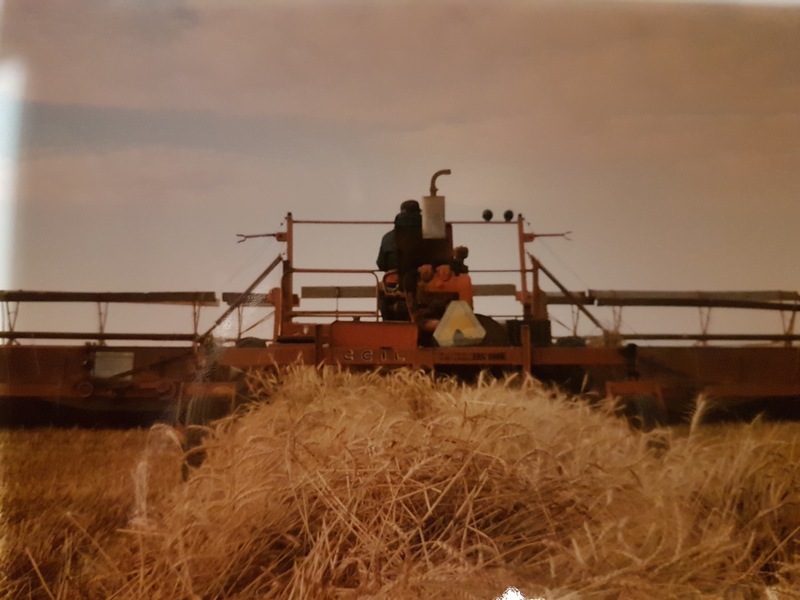 It was a huge eye opener for each person to see, and was incredibly fun for myself, to be able to guide them through the video with anecdotes from my own farm. Every single time that I introduced myself as Adrienne, a Cattle Rancher from Canada, I was met with the same huge smile and exclamation of “No way!! That’s amazing! 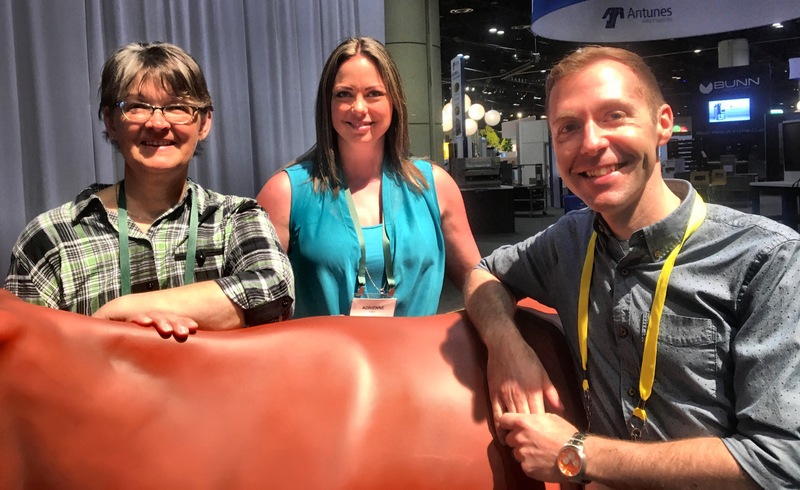 !” It was heartwarming to see not only the excitement of people wanting to talk to ranchers, but also that McDonald’s saw this need, and wanted to make sure that as many people as possible had the opportunity to learn from us. Yes, learn FROM us, not talk down to us. It was so refreshing, just thinking about it now has me craving a Big Mac…. 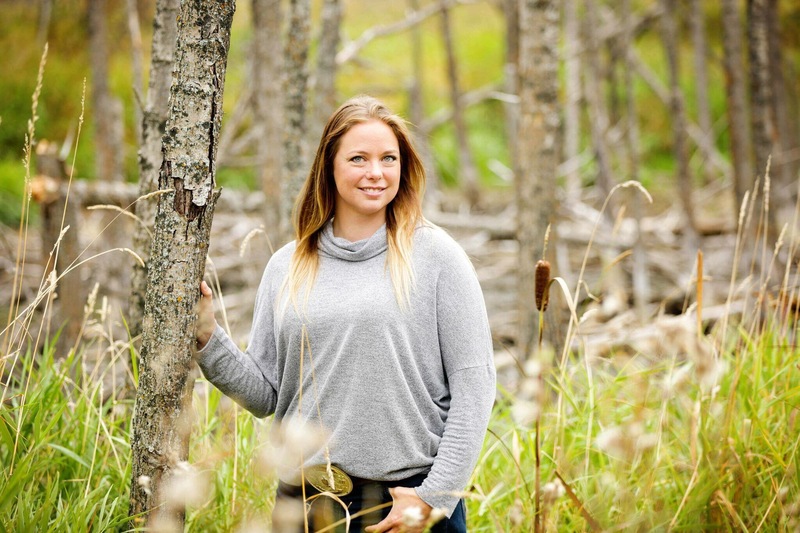 Corporate Executive VP, Francesca DeBiase believes in beef producers. She made me feel as though we are on the same team. I was amazed with how much their corporate executives wanted to chat with us ranchers, and how much they valued our opinions. We sat down with many of their corporate staff to share our views on how we thought McDonald’s could continue to do business with beef producers. The idea that they not only wanted to bridge the gap between their beef producers and their customers, but wanted our opinions on how best to do that, gave me goose bumps. These people, including the Corporate Executive Vice President herself, Francesca DeBiase, as well as many other vice presidents, directors and managers of McDonald’s global business, deeply valued our boots on the ground experience. Corporate VP, Sustainability Keith Kenny walked the trade show with me, highlighting Scale for Good sustainability projects. From McDonald’s Canada’s CEO, Chief of Marketing VP and General Council VP, each were thrilled to meet and chat. I met a man who works in their HO treasury branch. I asked him about how they hedge markets and peg currency to lower their risk. He was shocked and amazed to hear that farmers need to be experts in these areas as well, and that we, as producers, need to be constantly managing our exposure to markets. He had never thought of agriculture as that kind of business before. It was a great conversation. It was a week that filled me with pride in the food I am producing, as well as excitement for the future of the beef industry. In my eyes, those golden arches are glowing pretty bright these days, in ways that this country girl would never have expected. 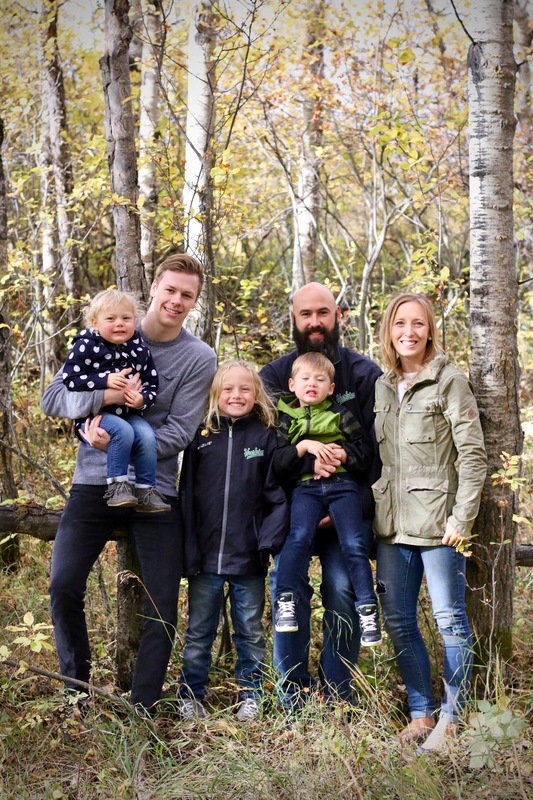 Yesterday, our small Saskatchewan world was rocked by the news of the kind of horrific accident that every parent fears on some level. A bus filled with an exuberant, not to mention talented, hockey team of 16 to 21 year old young men was in a terrible accident on route to what was meant to be an exciting and jubilant playoff hockey game. Just shy of their destination, on a crossroads not too far from my home farm, fate intervened and 15 lives were suddenly and tragically lost forever. The 14 surviving boys were each rocked with significant and critical injuries. 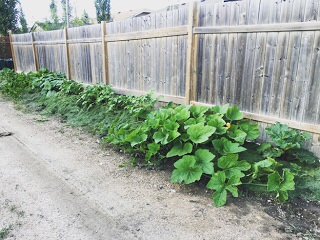 As the news spread, the collective hearts of Saskatchewan broke as though they were one. For the past 24 hours, I, and everyone I know, have been unable to think of anything else. Whether or not we had a personal connection to those on that bus, it and it’s precious cargo have not strayed from our thoughts. Saskatchewan may be large geographically, but our population is not. We are one big small town at heart. A neighbor’s loss is our loss. 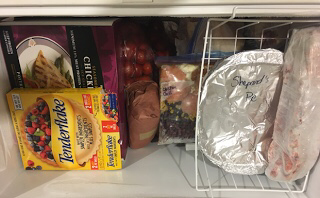 When a neighbour greives, we greive. But this loss is more. This loss is deeper. This loss has rocked each of us to our core. You see, those boys were so much more than hockey players. They were heroes. 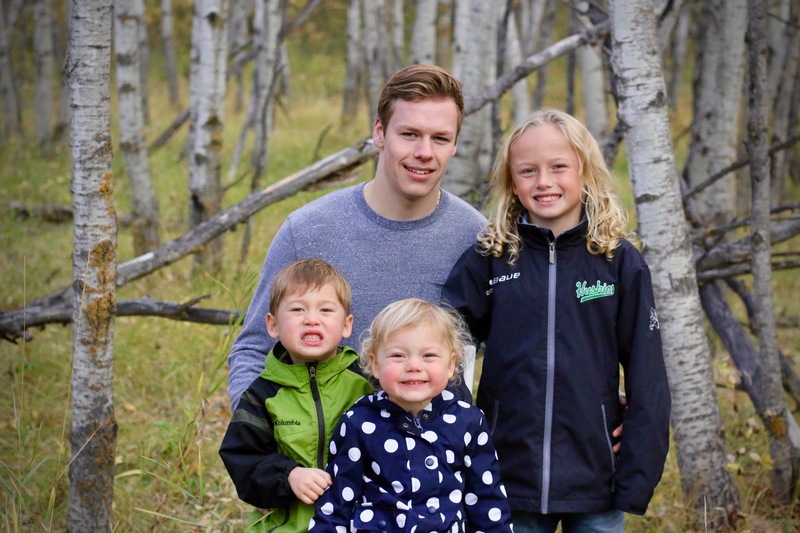 As a proud hockey mom, I have spent countless hours watching my son’s passion and dedication to the sport grow. I’ve watched him spend hours on end perfecting his shot in the basement net, and drove miles and miles to cheer him on at games. I have watched him examine every move that his favourite junior hockey player makes, and then emulate those same moves on repeat, until he has them perfected. Those junior hockey player heroes, were some of those lost yesterday. As that bus pulled out of Humboldt for the final time yesterday, in Saskatchewan there was not a minor hockey player that hasn’t dreamt of being on that bus. These young men and their dedicated coaches were living the lives that my son and his own teammates dream of every single night. They were hockey heroes. Those who’s lives were lost were in the prime of their lives. From the 20 year old team captain, Logan Schatz, to the 16 year old rookie, Adam Herold, who was called up to play in this important game, these young men were examples of great leadership in their community. To learn more about each of them, see more here. Anyone who has had the fortune of being a part of a hockey team, either as a player, parent or coach, knows that your team becomes your family. Your teammates are your siblings, their parents your defacto parents. This knowledge only makes the heartbreak that much deeper for those who survived. 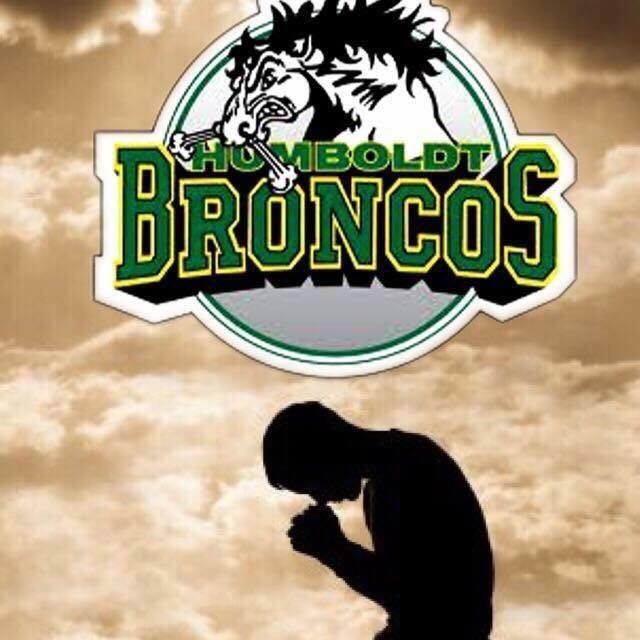 They and every family involved with the Humboldt Broncos all lost so, so much. Too much. As our tears fall, and our province and our entire country pull together in this time of great sadness, I keep a beautiful picture in my mind. I have a picture of those boys on the most perfect sheet of ice, skates laced, taking shots with legend Gordie Howe, under the watchful eye of their caring coaches. I can almost hear the tinkle of laughter floating across the ice…. May your shots be bar down forever. Please, please – take a moment and donate to the Go Fund Me page supporting the families of this tragedy. Today we are taking one group of around 300 cow/calf pairs and sorting them off. Once the calves are separated from the cows, we will “process” them – where we weigh each individual calf, vaccinate them, treat them for internal and external parasites (like worms or lice), and sort them into heifer or steer pens. Weaning is the one time of year that we expect the cattle to be loud. They are unhappy about being separated, and cattle vocalizing is a sign of stress. We avoid stress on our cattle as much as possible, as stress causes illness. That being said, we have learned a lot over the years about how to make this process easier for them. You will hear in the video that the calves are actually quite quiet. The cows are unhappy, and showing it, but the calves seem quite content. A big part of this is the fact that we wean as late in the year as possible. Most of the cows have long since stopped milking, the calves diets will not have a significant change with weaning. Looks like the guys are almost finished the hard work, the sorting. 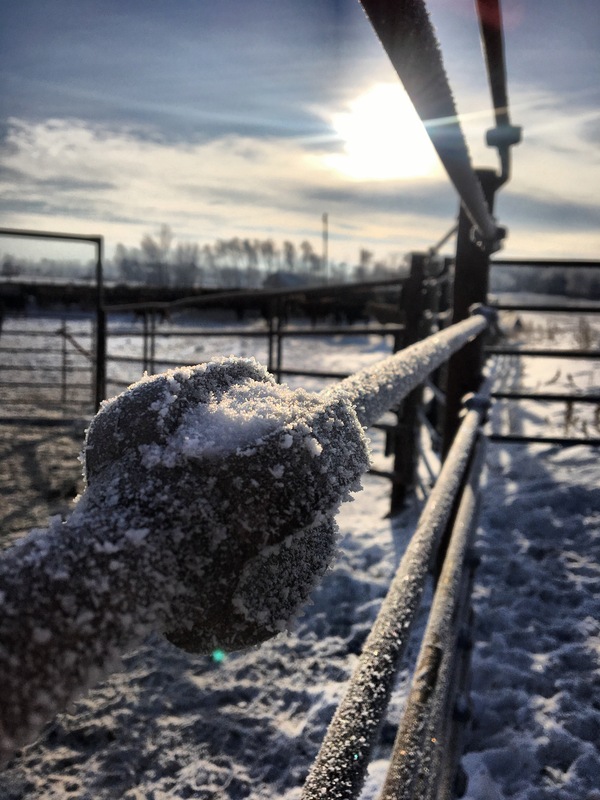 Now it’s my turn to get my hands dirty and help set these calves up for healthy, productive lives that will help nourish not only our family, but yours as well. If you live in Saskatchewan, I am sure you have heard the news that our Premier, Brad Wall, has announced his impending retirement, and the search is on for the new leader of the Saskatchewan Party. I don’t know about you, and perhaps it’s a result of my age, but I have never taken an active part in party (any political party) politics before. I’ve always seen party leadership races as something for the super engaged politico’s to deal with. Something for “those in the know” to decide. This leadership race is very, very different. This leadership race is unlike any other in modern Saskatchewan history. You see, our vote in the Saskatchewan Party leadership race is not only deciding the future leader of the party. It is not only deciding the face of one single party. THIS leadership race, this party election, will determine Saskatchewan’s next Premier. So, for Saskatchewanians, whether you vote in this race or not, whether you feel “in the know” or have been watching with slight, side eye interest, the results of this election WILL be the leader of not only the Saskatchewan Party, but also of our entire province. When you realize this, you will also realize just how important it is to have your say, insert your influence, by taking the opportunity to vote. 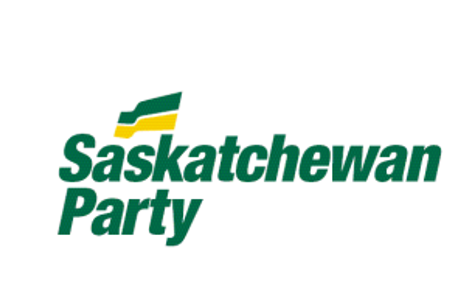 The only requirement to voting is very simple – purchase a membership to the Saskatchewan Party. This is not a life long commitment, you are not signing away your first born child, or even committing a vote for their party in the next general election. To have your say in who our next Premier is, all you need is a simple $10 membership. But here is the kicker – YOU NEED TO PURCHASE YOUR MEMBERSHIP BEFORE DECEMBER 8th!!! How to buy a membership? It’s easy!! Click right HERE, and it will take you right to the page on the Saskatchewan Party’s website where you can purchase one. Another little known tidbit – your kids can vote too!! There are Youth Memberships available for people aged 14–18, and their memberships are only $5. Voting will happen later in January. A ballot will be sent to your mailing address for you to fill out and send back to the party. It is not the same as a general election. In this case, you get to vote for more than one candidate. This is a preferential ballot – where you not only get to choose your top choice, but also your second, third, and fourth, choice (and so on), if you so choose. I have been very vocal in my support of Alanna Koch. She is someone who has inspired me for many years. Not only is she a strong, fiscal conservative, but she also brings balance to the equation. 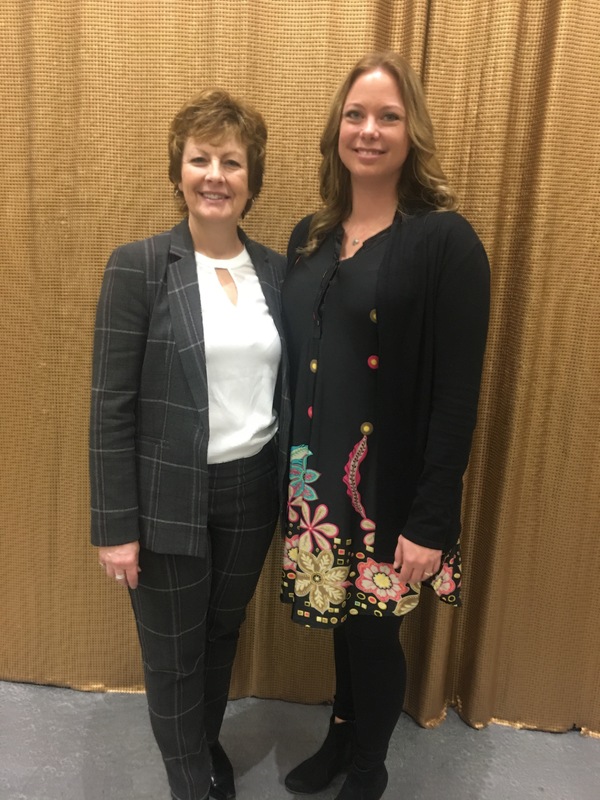 She understands that the reason we need a strong, vibrant business and investment friendly province, is to provide the backing for equally vibrant and efficient social service sectors, which allow the people of Saskatchewan to have the comfortable standard of living that we deserve. Having worked with Alanna in the past, she is someone who seeks to understand. Long before this leadership race, she made a point of touring our ranch in order to learn more about parts of agriculture she wasn’t as close to. She wanted to know more, and that is something you don’t often see outside of a leadership or political race. Alanna is a solutions based leader. 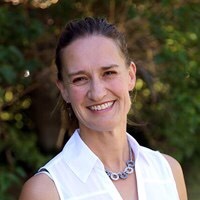 In her work as Deputy Minister of Agriculture, as well as Deputy Minister to the Premier, she is someone who finds solutions, and will forge a path forward once the right solution is found. In short, she is an inspiration and, I believe, the right person to be our next Premier. I encourage you to have a look at each of the candidates, see who speaks to you, and buy a membership. Again, if you do not have a memebership by December 8th, you will not have a say in our next Premier. This may just be your most important purchase in December…. 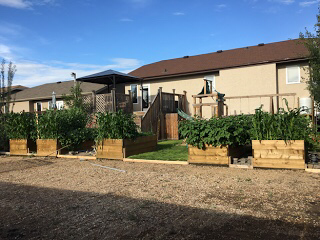 It is already day 23 of Agriculture Month in Saskatchewan. Where has October gone!? Today brings us a guest post from a very good friend of mine, Candace Ippolito. 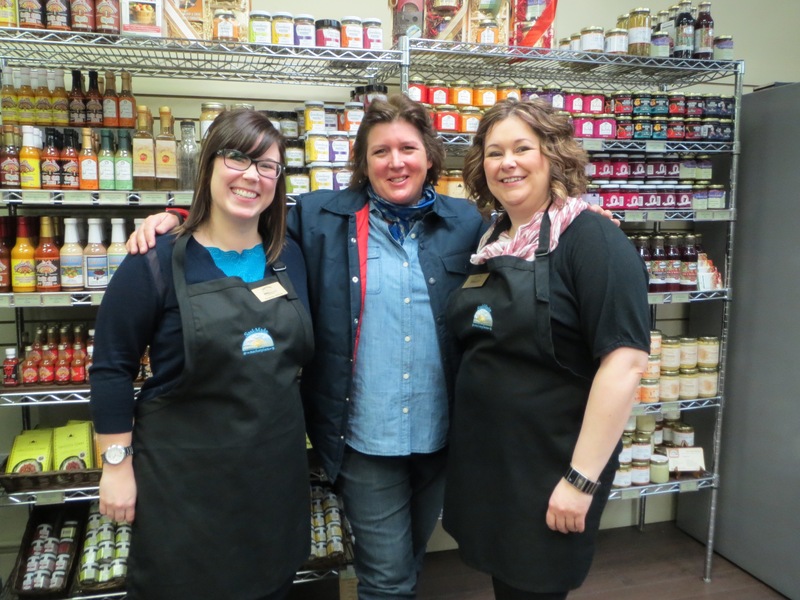 I have cheered Candace and her business partner, April Nichol, on since they first opened the SaskMade Marketplace years ago. She is most easily described as a fire cracker, don’t ever try to get in her way! I love this aha moment. Perhaps it will be an aha for you as well. Enjoy!! Follow Candace on Twitter @candaceippolito and be sure to check out the store’s website!! 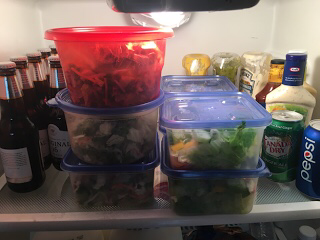 Our Food Has a Story, and here is mine. 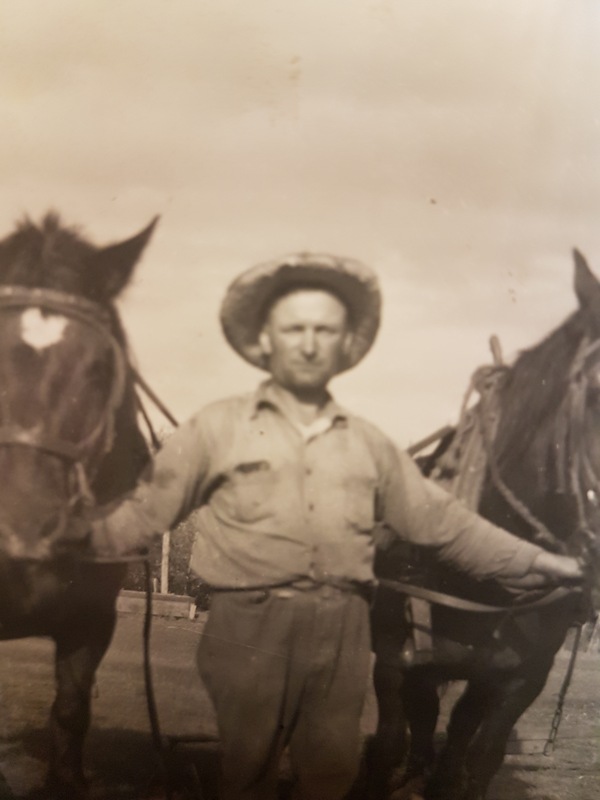 I am a 4th generation beef producer who worked for many years in the Ag Sector. The bright city lights drew me in to pursue a dream of owning a business. Growing up on the best farm ingredients, it is no surprise I became a lover of fine wine and good food. So it only made sense to open a speciality grocery store where everything is made, grown and produced locally. Welcome to the SaskMade Marketplace http://www.saskmade.ca in Saskatoon. 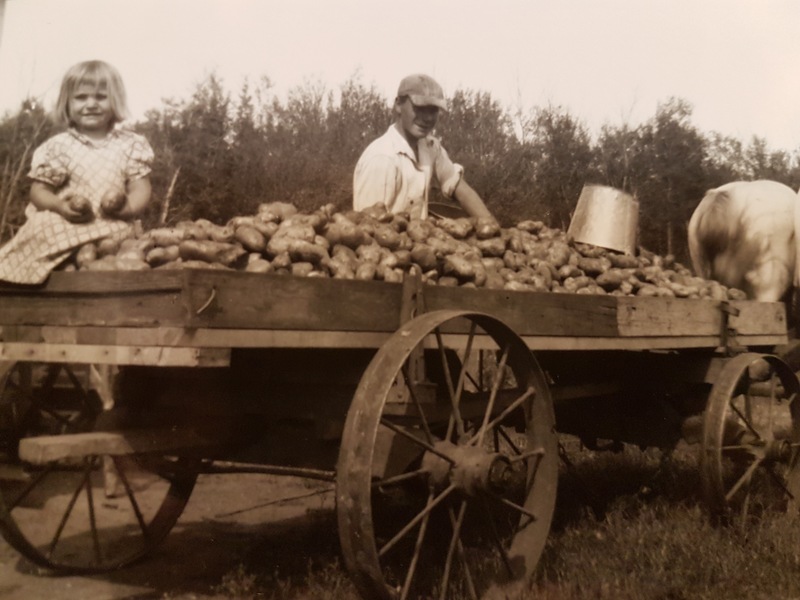 Very early we determined that this business was going to be a destination; where the draw was as much about the quality of the ingredient as it was the story and community behind it. 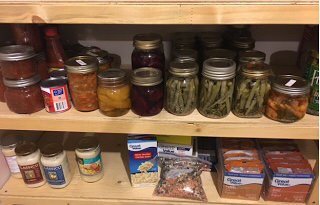 So I set out to teach the “city-folk” about food and where it comes from. To my surprise I was the student and they were the teacher. I was very fortunate that the store, SaskMade Marketplace, was chosen to be filmed for the Great Canadian Cookbook to be aired on the Food Network. The host was Chef Lynn Crawford and I was a big fan of hers and her style of cooking. The premise of the show was to showcase local ingredients and food from Saskatchewan. I was super excited but nervous to meet my cooking crush. I was prepared and had all my Ag facts memorized; how many acres of chickpeas we grow, what percentage of the beef in Canada comes from SK, etc.